This is a "drop in" board that will replace the circuit board inside a Versapak VP130 dual cha rger and make it into a "smart" charger (also a fast charger). This is a kit, and requires some minimal soldering skills. The board is fully assembled and tested, but you will need to swap the battery clips from your sacrifical charger, as well as solder the power suppl y to the board. Full installations instructions at the link. 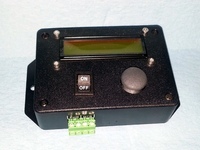 A Digital Remote Control kit for the MK3.1 Digital Trackers. A method of keeping dogs away from chickens (and other things). A digital timer to open and close doors and shade cloth for greenhouses. A "reboot" of my analog openers. For controlling the tempurature in a greenhouse. I have taken the best features of my other trackers and designed this one, using a micro controller to add features not available with my analog trackers. 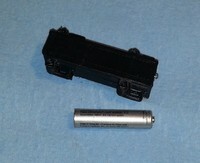 This is a remote sensor for the digital tracker boards I sell, see my the other items in my store below. These will not work with the Analog boards. These will plug directly into the 12V High Power boards I sell, and they can be wired (with some minor work) into standard tracker boards I sell. 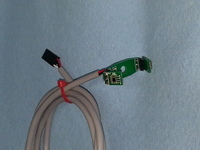 All new batches of my regular boards will also accommodate direct plug in of this remote sensor. This is a light weight acrylic dome jar with a custom 3D printed base to mount my trackers. 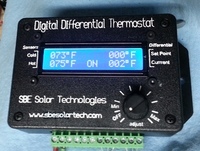 Digital Differential thermostat for your solar project. 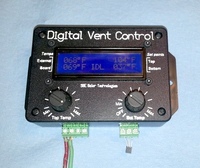 Digital display of current temp on both sensors, current differential, and setpoint differential. This is a high power version of my regular 12V solar tracker. This functions exactly the same as my regular tracker, but will handle twice the current. I have tested these continuously at 10A with no issues at all. If you need even more than 10A from your tracker, you can always purchase my relay module, which will handle up to 30 amperes. 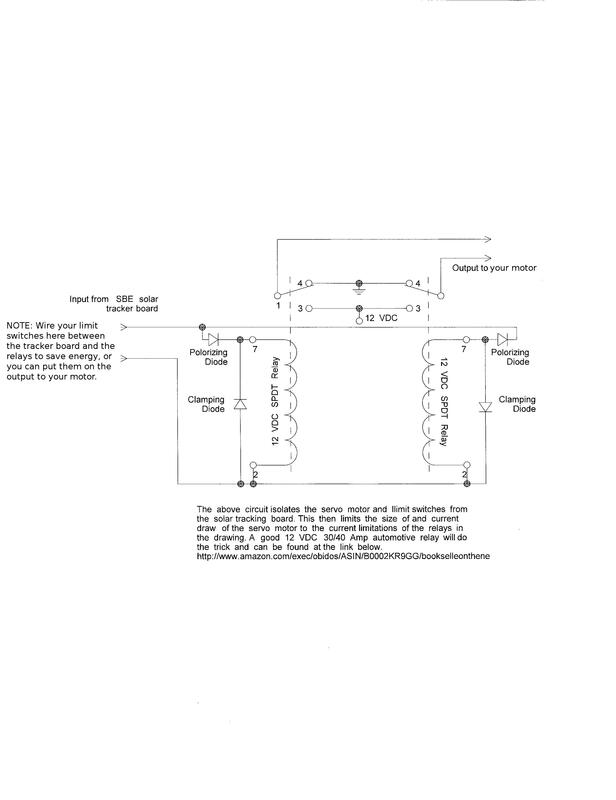 This will easily run a high power actuator for your solar tracker. These boards have a user replaceable fuse, and provisions for use of the remote sensor I also sell. If you are running these near their power limit, you will need to insure proper airflow over the board. This is a 24V version of my regular 12V solar tracker. This functions exactly the same as my regular tracker, but will handle twice the voltage. Please note that one of the tradeoffs for being able to handle higher voltages is not being ablt to handle the high current. This board will handle actuators and motors with a stall current of under 1.5A. This will easily run a small actuator for your solar tracker. If you need more than 1.5A from your tracker and want to run at 24V, you can always purchase my 24V relay module, which will handle up to 15 amperes. This is a 36V version of my regular 12V solar tracker. This functions exactly the same as my regular tracker, but will handle three times the voltage. Please note that one of the tradeoffs for being able to handle higher voltages is not being ablt to handle the high current. This board will handle actuators and motors with a stall current of under 1.5A. This will easily run a small actuator for your solar tracker. If you need more than 1.5A from your tracker and want to run at 36V, you can always purchase my 36V relay module, which will handle up to 15 amperes. 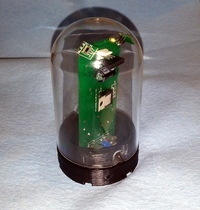 This is a remote sensor for the analog tracker boards I sell, see my the other items in my store below. These will not work with the Digital boards. These will plug directly into the 12V High Power boards I sell, and they can be wired (with some minor work) into standard tracker boards I sell. All new batches of my regular boards will also accommodate direct plug in of this remote sensor. Some people who buy my tracker boards want to run BIG motors with them. I always say: "This can be wired to control relays to move arbitrarily large motors", and I provide this link for directions on how to do this here. However, some don't want to wire the relays themselves. For these I have provided this relay module. This should be used when you are wanting to run BIG motors with my trackers. This is a remote temperature probe cased and potted, puts out 10mV per decree C. Works with the differential thermostat and the thermostatic opener in my store below. I will combine shipping if you purchase this with one of those. You will need to extend this with piece of wire to whatever length you need. USPS USPS USPS USPS Shipping costs are added to your order in paypal and are displayed during checkout.